For this recipe I used a white courgette, but any courgette will do. Like cabbage, I like to cook them with spices to have a stronger taste. Once ready, this dish can wait or be heated again later. It’s even better, as you will fell the spices more! Chop the garlic and the onions, cut the meat in dices. Plunge the tomatoes into boiling water for 30 sec-1 min and remove the skin. Cut in dices. 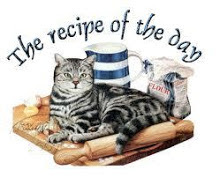 In a casserole dish, brown the onions in some oil, then add the meat and the tomatoes. Cover with water, add the spices, cover and simmer for 20 min. Cut the courgette in dices, add it after 20 min with the candied lemon cut in dices. Cook for another 30 min. In the end, add the lemon juice and the coriander.